My background when I was teen was Visual Kei which is from Harajuku. So I was thinking, why not try the latest fashion from Harajuku now? I miss the crazy look! 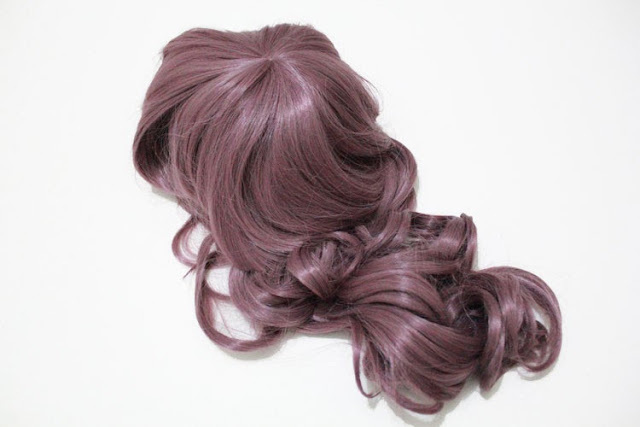 So, I ordered Purple wig from Hazelnutz Cawaii.. This time it's pinkcoco since they offer crazy colors that I want! 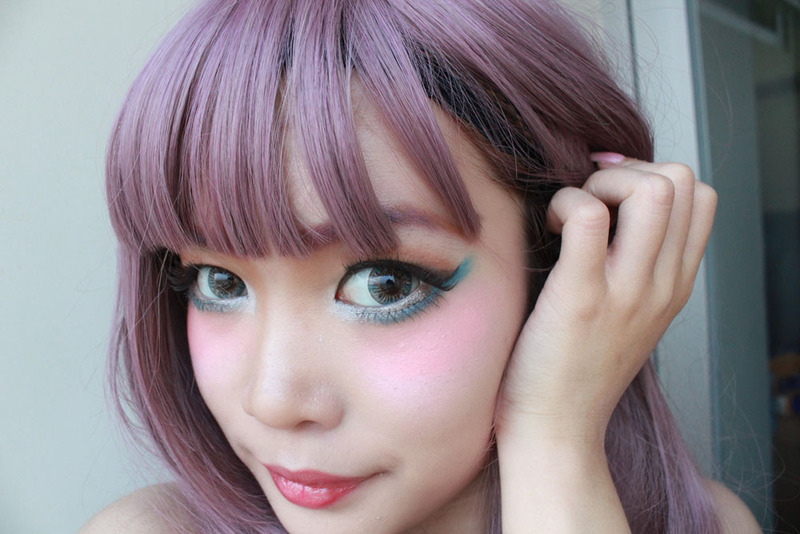 Harajuku is famous for its crazy hair colors such as purple, pink, and electric blue colour. This is the make up that I use! 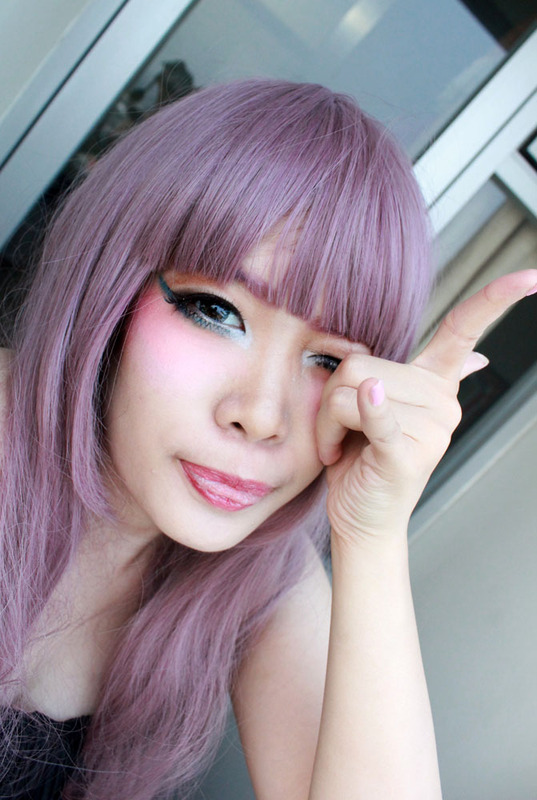 I draw my eyebrows into purple with purple eyeshadow, to match the hair colour! Black eyeshadow on the lids, blended with brown on the crease. Then I put electric blue eyeshadow for a pop of colour, under my eyes. For blush, I put it on Harajuku-way, on my cheekbones.. The wig looks like ash pink-purple for indoor lighting. But when you wear it for outdoor, it becomes very bright purple. I think this is fun! 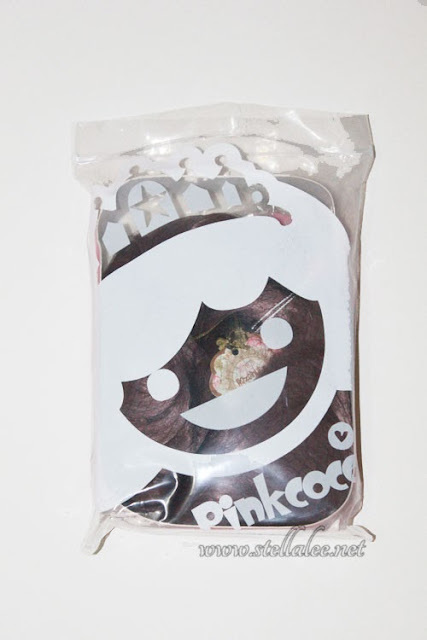 And real Pinkcoco wig also comes with its pinkcoco bag! The color looks very bright for outdoor lighting! 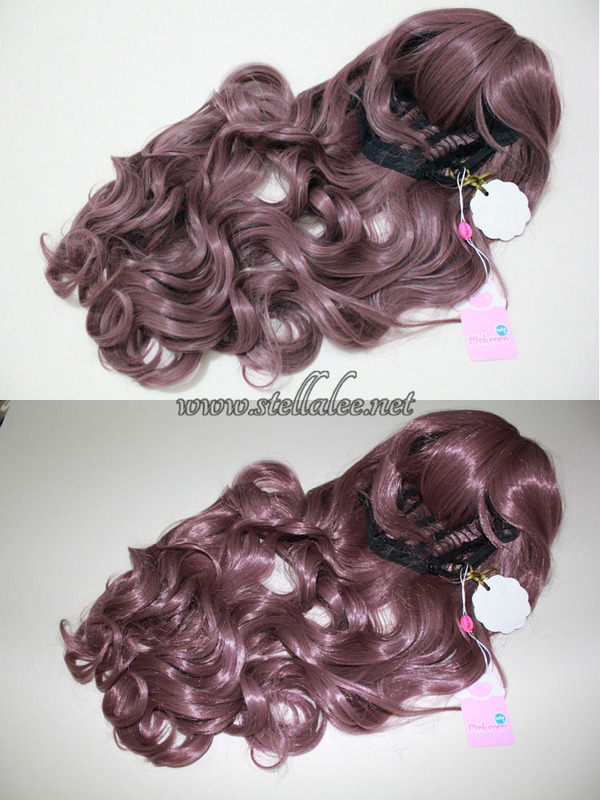 If you're keen for the same wig like me, you can buy it at Hazelnutz Cawaii Facebook then try experimenting with make up!! i like your look in purple hair stel =3 really stunning! 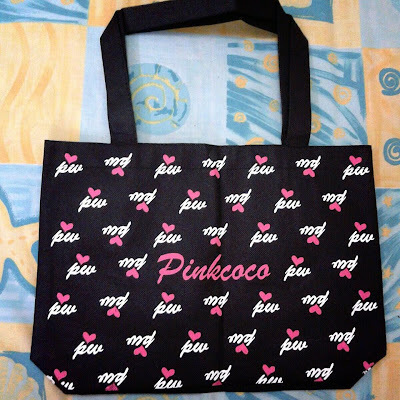 bagus wignya! You look stunning! I love your blog, you're such an inspiration! 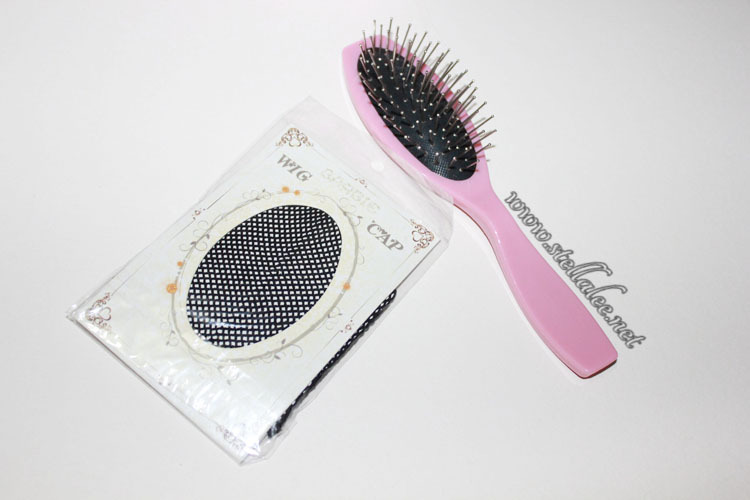 ci, itu wig pinkcoco yg dulu cci review, dr princess butik asli ato palsu, di compared sama yang ini..